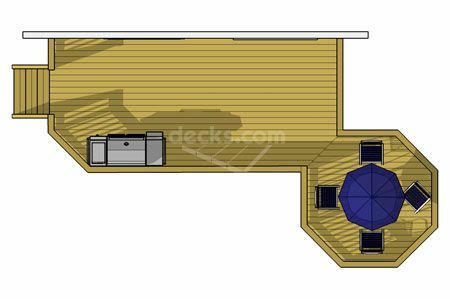 This basic 1 level 20' x 10' deck features a 10' x 10' octagon. It is an easy to build and economical choice. 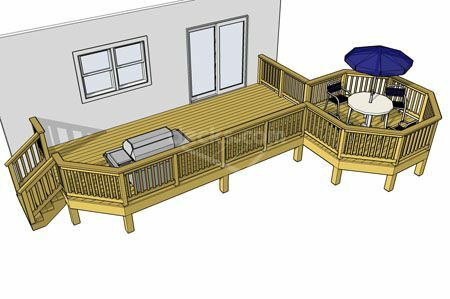 You may reposition the stairs and adjust the deck height to suit your needs.